American Airlines and US Airways To Merge? It appears that US Airways President Doug Parker has made a huge move towards acquiring American Airlines! Rather than negotiate with American Airlines CEO Tome Horton, US Airways went straight to the employees with their negotiations. Seems like a very smart move especially considering that the three major unions at American have seats on the unsecured creditors committee. 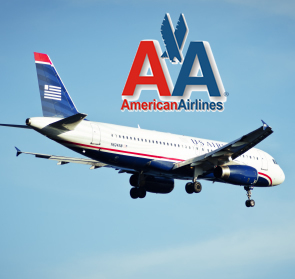 Last Friday all three major unions at American announced their full support for a merger with US Airways. In addition the APA representing the pilot of American Airlines have agreed to the basic framework of contract terms for the combined carrier. • F/O pay rate 68% of Captain rate. We believe that a merger with American and US Airways will not only be a win-win for the pilots involved but for all pilots in the industry! There will no longer be a large spread in pay from one Legacy Carrier to the next. This should help the airlines to compete while also raising the bar for all future pilot contract negotiations at all airlines! We invite you to please discuss the American Airlines and US Airways merger on our pilot forums.